Take a look at these 2 images. One is a bug, and one is a mechanical flying drone with a camera. Can you tell which is which? Maybe you could. But if you weren’t looking for the differences, you may have been fooled. The one with the camera (the one on the right) is called a “micro air vehicle.” I became fascinated by the micro air vehicle technology after seeing the movie Eye in the Sky. Have you seen it? In the film, there are operatives on the ground who use mechanical devices with cameras in them to spy on the interior of houses and the people inside. Are Insect Drones Seriously Used? 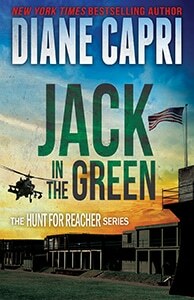 Because in the Hunt for Jack Reacher books, FBI Special Agents Kim Otto and Carlos Gaspar are always being watched, these devices are sure to make an appearance in one of my books. One of the things writers do is to read widely and talk to a lot of people. When I hear something that fascinates me, I delve a bit deeper. So after seeing the movie, I looked into it. Do such “bugs” really exist? Can they really be used as a surveillance device? The short answer is yes. They do exist. 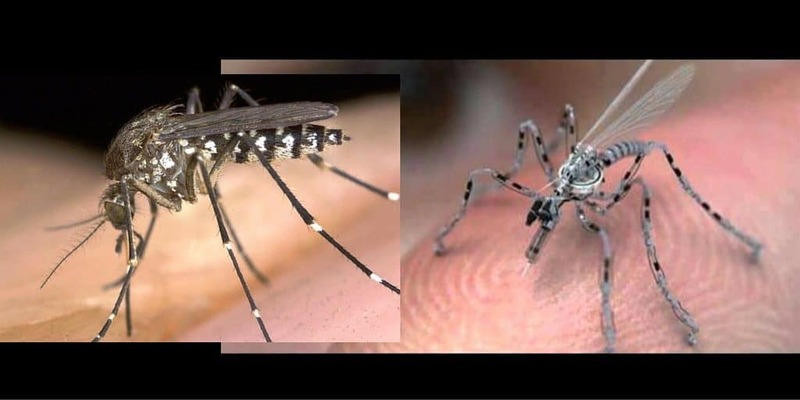 Of course, the military technology is far more advanced than “The Fly,” the recreational quadcopter drone with bug-eyed cameras that we find in my mystery serial False Truth. The micro drone technology allows for existence of tiny mechanical flying drones as small as 15 millimeters! In real life, tiny insect drones are used by military and civilians to survey remote and dangerous areas. As of 2015, the U.S. military was testing one micro air vehicle called the PD-100 Black Hornet 2. It has both regular and thermal cameras. A report by Defense One says US Special Forces have obtained a “handful” of the PD-100 Black Hornet 2’s. Here’s a look at its predecessor, the Black Hornet 1. In Eye In The Sky, there’s a specific micro air vehicle called The Hummingbird. 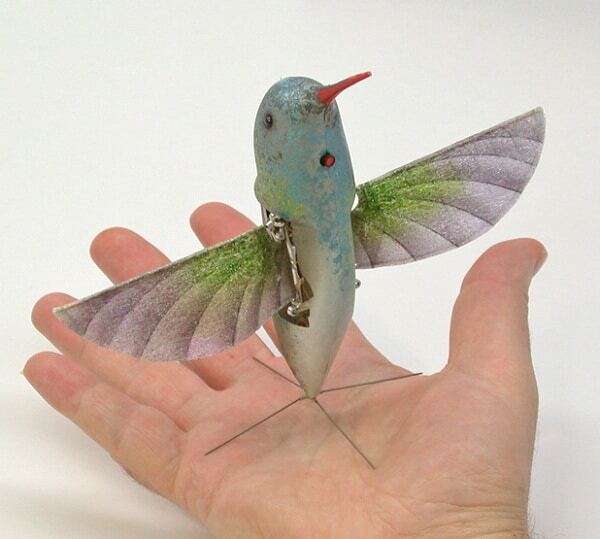 In real life, there is also an actual drone called the Nano Hummingbird, and while it’s fictionalized a bit in the movie, it holds true to the idea that a drone can look like an animal, flapping wings and all. This video shows it off very well. One of the keys to using mechanical flying drones effectively is making their movement look natural! 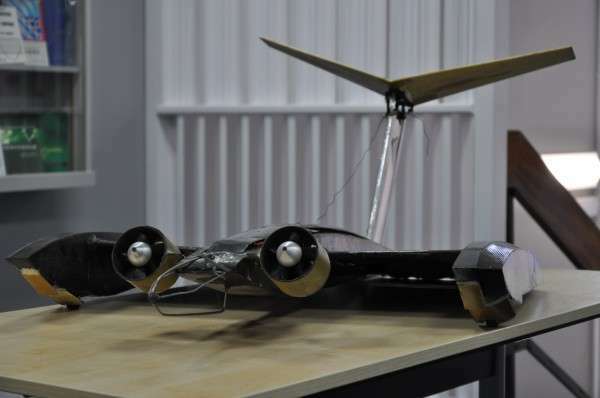 In the same vein, engineers are working on developing a spy drone that looks and moves like a bat. One of the tricks of using microdrones for surveillance has been making their motors very quiet. Scientists have been able to create such highly efficient electric motors, they’re definitely discreet and are almost silent. I trust the technology will develop quickly, as the military is showing increased interest in tiny drones. We’ve even heard reports that the military is developing its own mini drones that would be built to operate in a swarm capacity, with the goal of confusing enemy radar systems. And here’s the real zinger — I read that some insect drones will eventually have the capability to land on a human and collect DNA. Now that’s a technique after a mystery author’s own heart! Stay tuned!